Check our blog for the latest news and information on our products, services and fun! 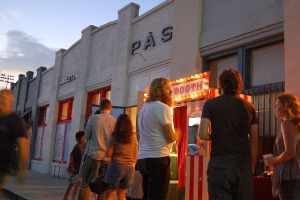 There's a lot going on in the Santa Fe area of the Fullerton Art Walk this Friday night. Ditto, Violet Hour, PÄS Gallery and the Hibbleton will be showing different artists. Please read below for more informaion. And, as always, DittoSnaps will be sapping away! DittoSnaps presents "Women HH" featuring work by Stefanie Moellers. Carnival Photo Booth will be inside this month. Stefanie was born in 1966 and raised near Münster, Germany, where she studied law during her early 20’s. 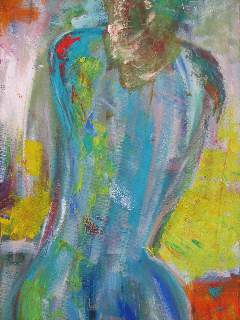 In 1997 while living in Lörrach she began an intensive study of painting. First she was mentored by Gertraude Pemsel (Lörrach) and Gina Feder (Murnau). Starting in 2002 she worked under the guidance of Mike Keilbach, a master student of the Munich Academy of Arts, with oil painting and linocut. From 2004 to 2010 she lived in Hamburg and continued to concentrate on painting, screen printing and finishing objects from paper mache. Stefanie moved with her family to Fullerton, California only one month ago! (January 2011) We were fortunate to be introduced to her incredible work and wanted to share it immediately with the Fullerton Community! Also... This month the DittoSnaps Carnival Photo Booth will be inside the galleries! Snap a few photos with your loved ones! This month, the keepsake from the photo booth will be featuring the art of John Sollom who you can read about below. The VIOLETHOUR Studio & Gallery – will have the art of Kimberly Edmiston, LeAnne Seargent, Patrick Nguyen, Valerie Lewis, Mark Reyes, and Michael Magoski. Come explore the assemblage and oil paintings of John M. Sollom as he reminisces the Landscape, Folklore, Americana, and Relics of the Past and transforms PÄS Gallery into Santa Fe Gallery! A special model train layout and an assortment of train video footage by Philip Higson will be on display. A percentage of all art sold will benefit the renovation of the Fullerton Fox Theatre! 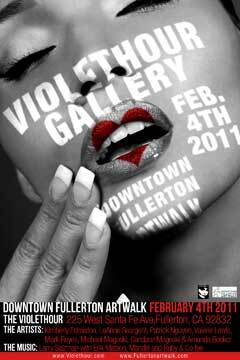 The opening reception is always free and will coincide with the Downtown Fullerton Art Walk on Friday, February 4th 2011 from 6-10p. On display until February 26th 2011. Hibbleton Gallery announces “I Left My Heart in Detroit”, featuring an all-Detroit lineup of artists: Niagara Detroit, William Zdan, Matt Gordon and SLAW. 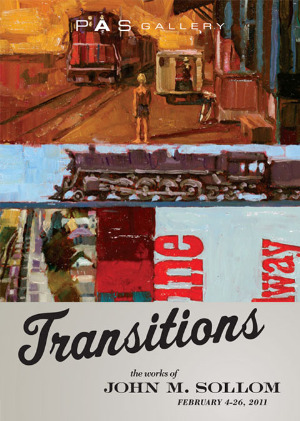 The opening reception is Friday, February 4, 2011 from 7:00 pm to 11:00 pm during the Downtown Fullerton Art Walk, and is free. Lowbrow icon Niagara has a rich history in the Detroit art and music scene. She was front woman of the proto punk band Destroy all Monsters featuring former members of the Stooges. Her rugged, female-power art has been featured in galleries around the world, including Sydney, Tokyo and London. Detroit expatriate and Southern California resident William Zdan has shown in galleries in and around Los Angeles and Orange County. His work mixes political and religious satire with a classical, trained style to create stirring and provocative works of beauty and contemplation. Matt Gordon’s work has been featured in Juxtapoz Magazine, on album covers (including Modest Mouse), and in RVCA designs. His works collects a Bosch-like assembly of modern-day characters for a surreal (and often comical) experience. The art of SLAW re-creates a Motor City landscape decorated with hep cats, muscle cars, and seedy lounges. His “shaken-not-stirred” approach perfectly complements this cocktail of accomplished artists. “I Left My Heart in Detroit” will show through February 26th, 2011. Yes! We are so excited about our new blog, we can hardly contain ourselves. Keep an eye out for new articles and updates coming soon!